Mr. Ramesh Kumar Goenka founded the Suashish Company around 5 decades ago. Suashish is spread across an array of businesses, from diamonds to diamond jewellery, renewable energy, real estate development to venture capital investments amongst many others. Suashish is a global giant, which strives to better quality of life of their consumers’ and society at large through enterprise. The group’s superlative execution capabilities, rich experience and global partnerships help design responsible & customised solutions for our clients. Suashish constantly engages with communities across the world through its many business and corporate social responsibility ventures. 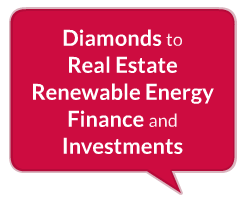 The group has several trade verticals ranging from diamonds to real estate (residential and commercial), renewable energy (wind & solar), finance and other investments as well. All lines of businesses are independent of each other and are meshed together thus leveraging upon synergies manifesting in Suashish’s network. Hence, ensuring all verticals thrive in a culture of sharing best practices. Suashish’s journey that began five decades ago has resulted in enterprise spanning North America, Asia, Africa and the Middle-East.